Thousands in the northern, historic Greek region of Thrace were out in the streets today to protest Vancouver-based Eldorado Gold's Perama Hill mining project. 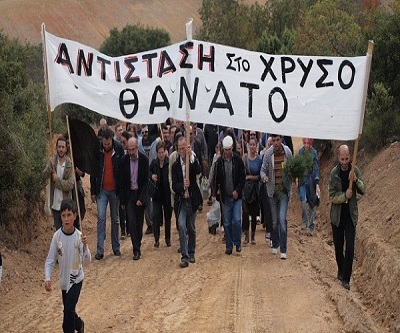 The protest comes just two weeks after a violent attack on an Eldorado mine site in Halkidiki. Click here to see photos of today's protest. The Perama Hill gold project is a late-stage development project in Thrace, Greece. The property consists of two mining titles covering an area of 1,897.5 ha, and two mining exploration licenses covering an area of 1,762.7 ha. 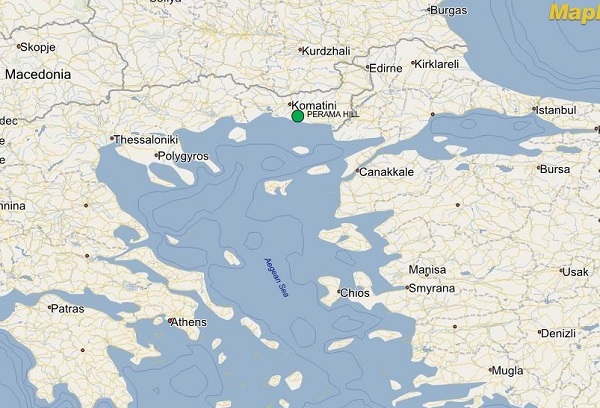 Processing of the Environmental Impact Assessment (EIA) application through the Greek Ministry of Environment (MoE) continues with approval anticipated during the first quarter of 2013. Estimated development capital is $189 million. Upon receipt of all permits and licenses Eldorado will make a construction decision. Production is expected in 2015.